American actor Tom Cruise on the set of "Top Gun," directed by Tony Scott. Tom Cruise is back on the flight line for a sequel to the 1986 film "Top Gun." 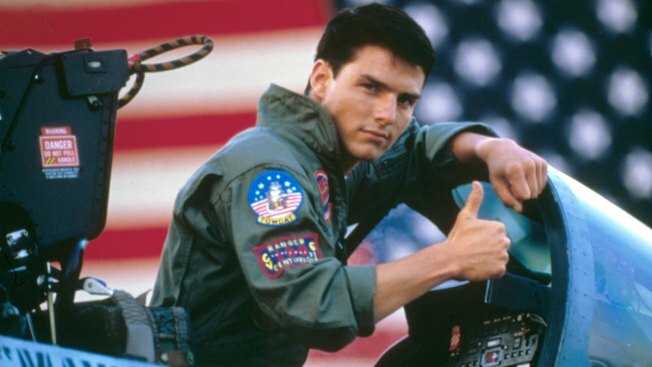 Cruise writes "#Day1" of production of "Top Gun: Maverick."